Real beauty isn't about being picture perfect. 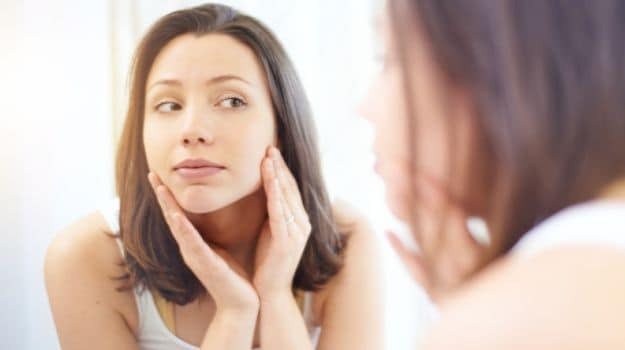 You should be able to admire and feel good about yourself even after you remove that mascara and clear away the film of foundation and concealer off our face. Haven't we all wondered how some people manage to look so effortlessly beautiful? 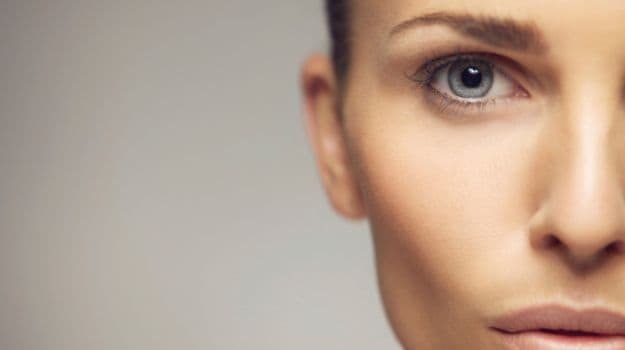 Let's face it, makeup is transitory and if you are hiding away dark circles and pigmentation through cosmetic products, it will begin to show sooner or later. On the other hand, what you eat has a direct correlation to how you look. Even the intake of water has a big role to play because if you are dehydrated, it will leave your skin looking dry, flaky and lifeless. Before you begin to resort to external application to set things right, look within and ask yourself if your eating habits are in place. Sometimes the lack of essential micro-nutrients can steal away the much needed glow and radiance off you face. According to dermatologists, nutritionists and medical experts, Vitamins A, E, K, C, and D are vital for a healthy skin. "Vitamin C helps in lightening the skin. It is great for fighting spots and blemishes. Vitamin D enhances the elasticity of skin and makes it suppler. It also prevents skin from sagging. 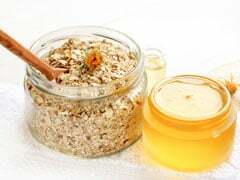 Vitamin E acts as a moisturising agent and prevents drying and wrinkling. 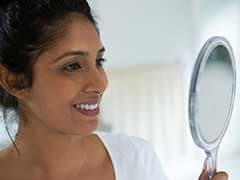 Vitamin K makes the skin look brighter and radiant and fights fine lines and dark circles," shared Suparna Trikha, a leading Delhi-based skin and beauty expert. It facilitates elimination of stratum corneum - the outermost layer of skin with dirt and dead cells - and the formation of new cells. Sweet potatoes, carrots, fish, bell peppers and green leafy vegetables are some of the best sources of Vitamin A. The micronutrient fights thinning of skin and makes it firmer. According to hair and skin expert, Dr. Deepali Bhardwaj, "Vitamin C is an absolute essential in your skincare regime. It comes packed with anti-ageing properties and is used in many anti-wrinkle creams. It increases collagen production." You can add Vitamin C to your diet in the form of citrus fruits, tomatoes, kiwi, cauliflower, cabbage and brussel sprouts. Amla juice is also a good source of Vitamin C and helps boost immunity. Topical application of Vitamin C is also good for the skin. 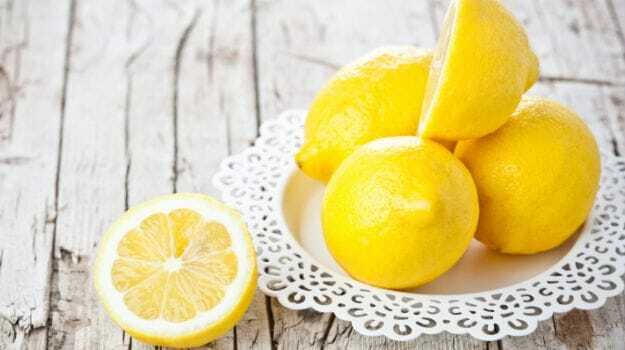 One of the common ways to apply Vitamin C on your skin is by adding lemon juice to face masks and packs. "Vitamin C is acidic, so make sure you don't overdo it. Dilute it with water and do not apply daily. Make sure you don't pair Vitamin C enriched foods with milk products. Consuming foods enriched with Vitamin C along with iron rich foods will enhance the efficacy and absorption of the nutrient better," noted Dr. Bhardwaj. Another vital micro-nutrient for the skin, the best way to soak it in is through sunlight. 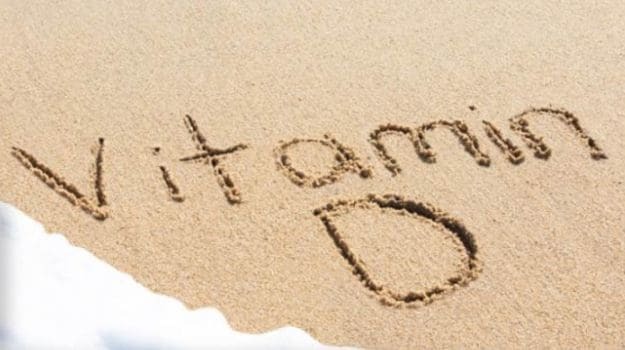 The sunshine vitamin has been used to treat skin disorders like psoriasis and skin inflammation. Add salmon, eggs, milk, mushroom and orange juice in your diet to load up on Vitamin D. Vitamin D is also known to enhance the skin's immune system and protect it against infections. This is an absolute essential for the nourishment of your skin. 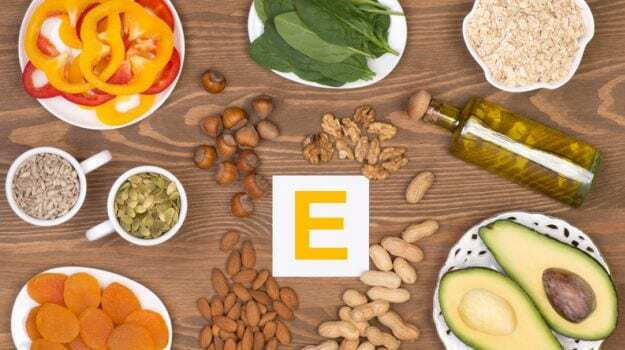 Food items like almonds, avocado, tomato, spinach, hazelnuts and fish are excellent to meet your everyday Vitamin E requirement. Vitamin E oil and capsules are easily available in medical stores. A few drops of the oil can be used on your skin or added to your face packs or masks. Coconut oil and olive oil are also enriched with Vitamin E. Take a few drops and message gently onto your face and let it rest. Those with oily skin condition must get in touch with a skin care expert before applying any of the above mentioned ingredients. Vitamin K is known to guard the skin against arterial calcification (accumulation of calcium in the arteries, which could lead to heart diseases) and keep the skin elastin in proper health, making it smooth and supple. Vitamin K also facilitates the production of certain proteins essential for healthy skin cells. It helps keep a check on acne and associated spotting. Sprouts, spinach, kiwi, tuna and dairy products are some of the ingredients that will help you load up on Vitamin K.
"Vitamin B is also essential for the skin. It soothes the blood vessels and checks skin ageing and inflammation. Selenium is another such nutrient; it speeds up the skin's natural repair pace and helps protect against sun damage as well." concluded Dr. Bharadwaj. Deficiency of B Vitamins can lead to skin irritation. Flavonoids commonly found in chocolates and green tea are also important for skin maintenance. Natural extracts derived from plants, fruits and veggies have now been studied for their skin benefiting properties. Lycopene extracted from fresh tomatoes has already been touted for its skin benefits, and so are other natural extracts such as resveratrol (from grapes), genistein (from soy), papain (from papaya) which are loaded with antioxidants essential for the skin.